Since its introduction, GE’s Zenith transfer switches has become a hallmark of quality and performance. 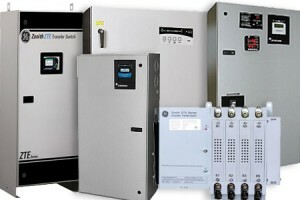 Reliability resulting from superior design and heavy duty construction has made the transfer switches the industry standard for critical installa- tions. Our emphasis on research and development, design improvements, materials, manufacturing methods, quality assurance and service yields products that have been proven in hundreds of thousands of applications. Subsequent to the first transfer switches units installed, our engineering staff has been dedicated to the improvement and expansion of our line. Today, GE offers the widest selection of transfer switch products worldwide.